The Top 10 World’s Most-Visited Tourist Attractions article was received with skepticism. With more than half of the spots in the US, it was questionable on how the “attractions” were measured. The good part about the list is that it was controversial; I actually liked that it brought a lot of comments and evoked thoughts about what should really be on the list. 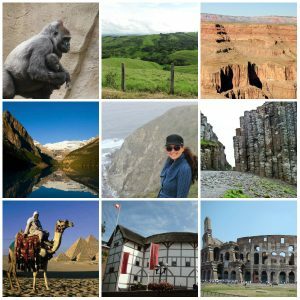 After touring 34 countries, I decided that I would make my own “Top Ten Tourist Attractions” list. While I can’t address places I haven’t seen nor can I speak for anyone else, these ten attractions stood out above the rest for me. I’m certain that the list will change with time; it will most likely change in a few weeks after I visit Fiji, but for now… these are my top ten tourist attractions. You can share your list at http://www.bucketlistpublications.com/submissions. All articles, posts, lists, and photos selected for publication will appear on Bucket List Publications with a direct link to your blog. Do you think you know what’s on the list? Check it out and see for yourself. This entry was posted in Uncategorized and tagged Africa, bucket list, Bucket List Publications, bucketlist, Central America, Europe, Lesley Carter, photo, photography, travel, travel magazine, USA by lesleycarter. Bookmark the permalink. Thank for sharing! Very Nice! That list I like much more than the top attractions by statisticians 😉 And I wonder how was it possible that I’ve been to London twice and didn’t even know about the Globe Theatre. No one in central Europe, no one in Asia, Africa? Tour de Eiffel, Colosseum, Big Ben, Egyptian pyramids, Bangkok, Krabi? I don´t know to trust. Who are the “tourists” – Americanos? I have to made my top ten as You, for my satsfaction. Love this blog. Sooooo inspiring!